Is the child out-of-control? Are they having an emotional meltdown? 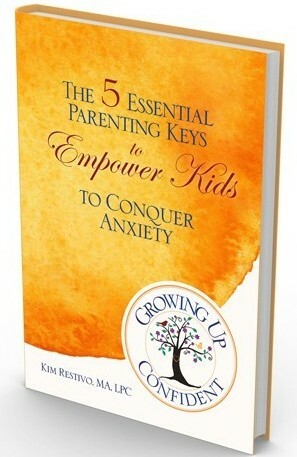 An emotional meltdown is when kids are emotionally flooded and would be unable to quickly calm down even if we gave in to what they are desiring. If the answer is yes, then I choose Empathize & Connect. Is the child in control and making an unacceptable choice? If yes, then Set Boundaries. My request was met with a stone cold stare like she didn’t know what language I was speaking. Here’s the kicker… I truly had to be okay with her making either choice. I needed to detach from my viewpoint that there’s a “right” response and a “wrong” response. If I remain attached to what she “should” choose, it’s not really a choice. She chose not to pick up and not to play with the dollhouse on her next visit. Okay, we all make less than stellar choices sometimes. When you see no choice other than for the child to listen to you in exactly that moment, you are creating the perfect environment for a power struggle especially if you have a more strong-willed child. The usual way out of a power struggle is someone wins and someone loses. How much are you willing to up the ante on consequences to get your child to comply? How much is your child willing to lose to not feel powerless in the situation? How is this impacting your relationship with them? And you get to choose your response. Do you choose punishments and threats to gain compliance? Do you let them have their way? Do you Empathize & Connect? All the nuances around setting boundaries are more involved than the scope of this article. If you’d like to be part of more in depth conversations, this is what’s happening inside the Emotion Guide Collective. You can learn more about joining here. This is an after-the-fact choice. I don’t choose it during meltdowns or in the heat of the moment. We can only learn when we’re calm. In my experience, we tend to use this strategy when we don’t need it and fail to use it when we do need it. It takes some digging around to discover what’s really going on. When one of my kiddos came to my office after getting in trouble for hitting at school, he was pulling out all of his avoidance and procrastination strategies. Our school-aged kids know that hitting is wrong. That isn’t the lesson they need to learn. What they need is to learn the skills they were missing that led to them solving their problem by hitting. Do they need more coping tools for anger? Are they defending themselves and lack other strategies for being assertive and standing up for themselves? Do they believe they need to get revenge if someone does something wrong to them? What was missing or what got in the way that this choice was the best option the child had in the moment? In challenging moments with kids, I’ll often use a combo of these strategies depending on what’s happening in the moment. I may start with a boundary and then a meltdown ensues, so I switch to empathize & connect until everyone’s calm and then if necessary, I’ll teach a skill or re-set the boundary. Having this decision making framework quiets the frantic guesswork of what to do next. What does your decision making framework look like? After reading this article, is there anything you’re going to shift? I wish to share the information with the teachers in my district.